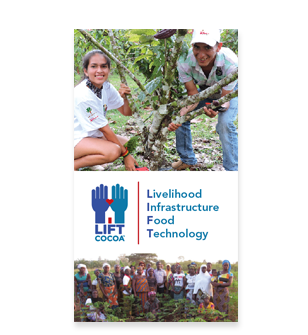 Today, the farmers growing the world’s cocoa, their families and the communities in which they live remain challenged by the lack of access to life’s basic needs. Clean water, nutritional food, heath care and a basic education are simply not a daily option for far too many of our cocoa farming partners. From many in the chocolate and confectionary industry, there is a strong desire to help without the knowhow or mechanism to do so. Often the cost of a sustainability program and the open ended commitment are viewed as prohibitive. It was with these companies in mind that Blommer developed L.I.F.T. A company can earmark a small product premium to use for the construction of a water well, primary school building or medical center serving thousands of individuals. Premiums can also be directed to areas of food security, women’s empowerment, literacy and farm support. Companies have full transparency to the project and have the marketing rights to promote the project as their own. L.I.F.T. 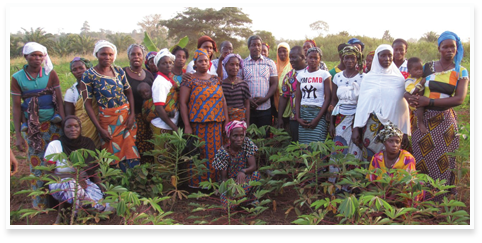 provides companies the ability to make a serious impact on the day to day lives of cocoa farmers and helps to build thriving communities for the long term benefit of our most crucial partner.